We have achieved yet another certification – Level 1 Service Provider PCI DSS compliance – to the highest level possible. Data security is our business and we continue to receive certifications and accreditations above and beyond typical standards so our customers can be 100% confident that their confidential data is in safe hands for secure destruction. PCI DSS compliance is a requirement for any business handling cards to protect cardholder data. The most common certification recognised is merchant compliance, basically for those taking card payments. While we are compliant as a merchant more importantly, for our secure shredding services, we are compliant as a service provider to the highest level (Level 1). Level 1 Service Provider PCI DSS compliance allows us to handle and destroy your cardholder data to the highest level of security. We can destroy both paper and electronic media so you can ensure your own PCI compliance is met. 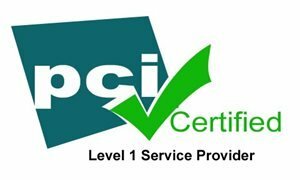 View our PCI certification and other accreditations here. Contact one of our shredding specialists for more information.